Lockable twist-out eyecups for use with or without glasses. Rugged, temperature-proof casing with easy-grip rubber armouring. Waterproof up to 400 mbar (4 m water depth). Nitrogen filled, no internal fogging. 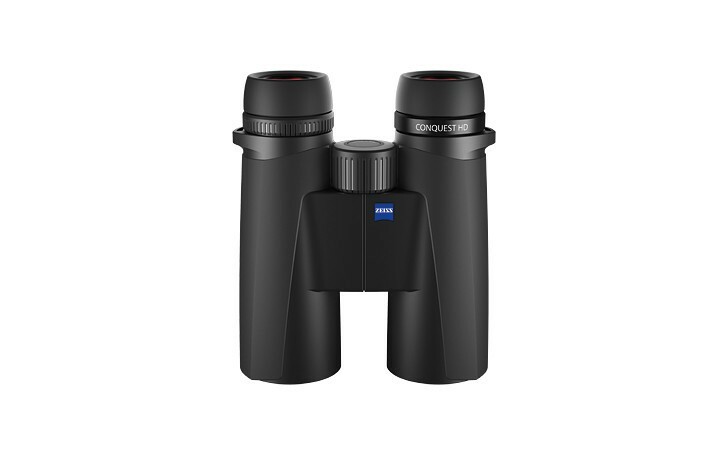 Temperature range - 25 ° to +55 ° C.
High optical quality of Carl Zeiss with T*-Multi-Coating for high transmission and neutral color rendition. Schmidt-Pechan prisms with phase correction layers for highest detail recognition. Abbe-König prisms for highest transmittance values. with phase correction layers. 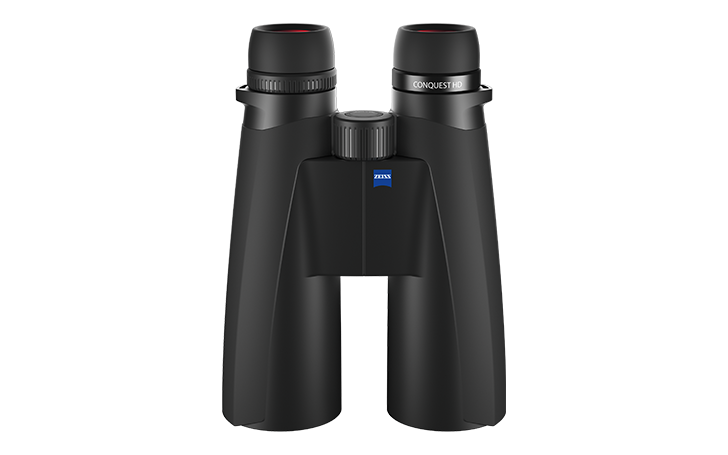 The new CONQUEST HD 8x32 is a lightweight model that is ideal as lightweight binoculars for hiking, traveling and animal observations. Its compact size makes it a convenient companion in difficult terrain. 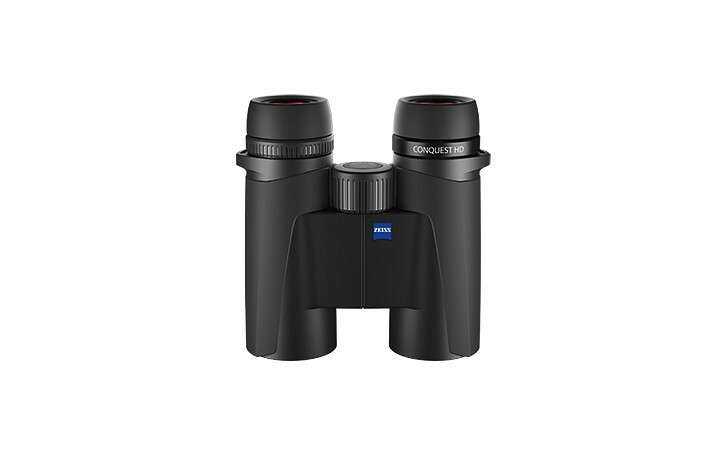 The 8x magnification provides a good overview and shake-free images. The near setting of just 1.5 meters allows you to experience crisp images and clear colors up close. This is particularly beneficial when watching butterflies or other insects. The CONQUEST HD 8x32 satisfies all ergonomic requirements: the focusing wheel is so conveniently placed that it can always be quickly and easily used. MASSIVE DISCOUNT WHILE CURRENT STOCK LASTS!